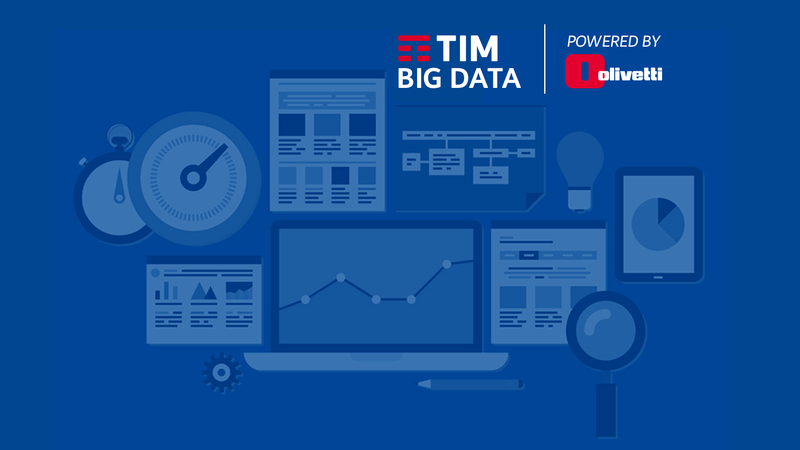 TIM Big Data is a solution suite that, exploiting TIM Datasets, offers advanced cloud tools for quality and quantity analyses, physical presence, mobility, nationality and national socio-demographic statistics. The offer provides dedicated profiles for the Public Administration (City Forecast) and Business world (Tim Big Data). Analyse physical presences on a day-time basis in a specific area of interest – Who’s there ? Know the socio-demographic characteristics of persons present in the area of analysis (gender, age, user type - Consumer or Business) – Who’s there ? Monitor movements from one specific area to another - From where are they arriving ? Where are they going ?